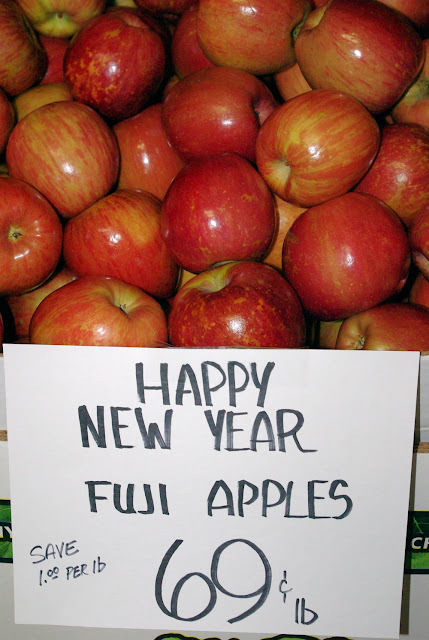 Fujis are easily one of The Grocer's favorite apples. He loves them because they're always juicy, crispy, and sweet. They have a small core. 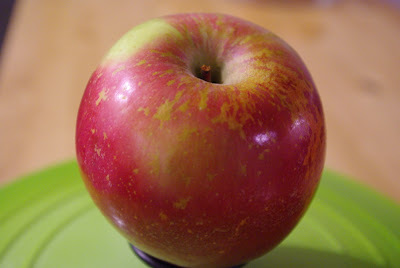 And when you buy them by the bin (like we have at the market right now), you get extra-large apples that are perfect for caramel dip (The Grocer has an insatiable sweet tooth:). At a mere 80 calories for a medium Fuji, with 0 grams of fat and 5 grams of dietary fiber (that's if there's no caramel dip involved;), these popular apples are a healthy snack anytime. Come by the market and try one. At 69 cents a pound, these beauties are a steal!